Law enforcement captured fugitive William Loy in Columbia Sunday morning after they found him hiding in the basement of a house at 323 Spring Dr. A tenant at the resident, Brent Ollery, was also arrested for hiding Loy, who escaped late Tuesday night while being transferred from the judicial center to the jail. 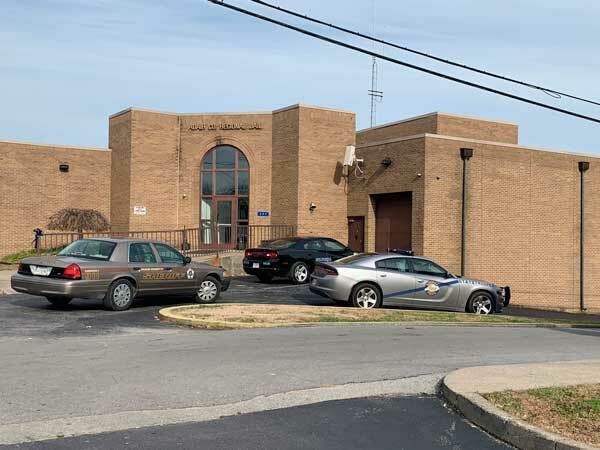 Deputy Sheriff Josh Durbin received information that Loy was at the residence and he and officers from the Columbia City Police, Kentucky State Police and Fish and Wildlife searched the premises around 8:30 a.m. after gaining access from Ollery. Officers were concerned Loy may be carrying a firearm but that turned out to not be the case. 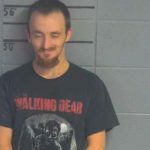 They found Loy hiding behind two mattresses that were laying against a wall, according to Columbia Police Officer Drew Conn, who assisted with the arrest. Loy tried to avoid arrest and KSP used a stun gun in his apprehension. Ollery was charged with hindering prosecution and lodged in the Adair County Jail. Loy will face escape charges. Loy, 25, bolted as he exited a vehicle instead of entering the jail around 10:50 p.m. Tuesday. He was not cuffed or in shackles at the time of his escape. He was in court last Tuesday on charges of failure to appear and theft of a firearm. A video of the escape can be found on the Community Voice Facebook page. 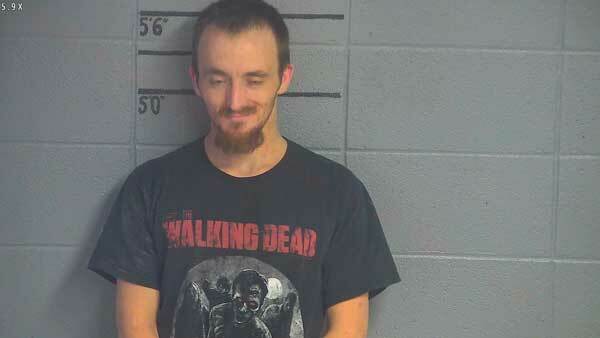 Police officers arrested fugitive William Loy Sunday morning and returned him to the Adair County Jail.